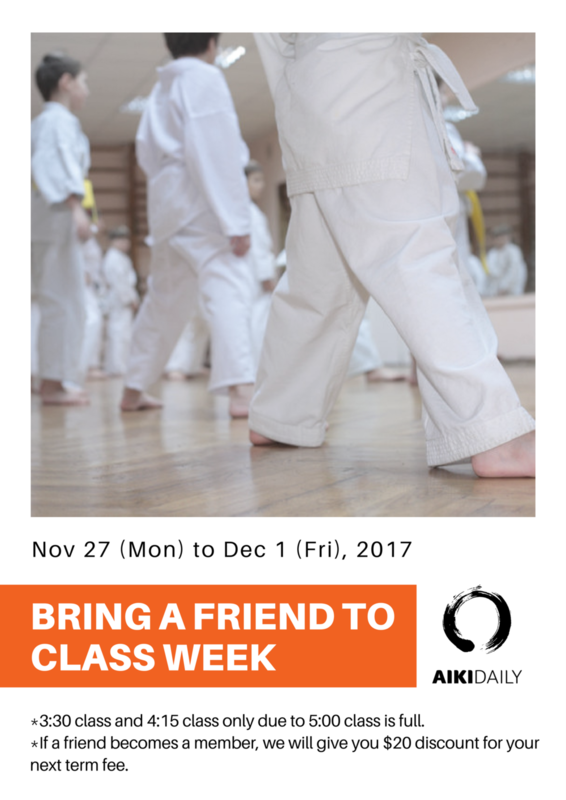 For the week of November 27th to December 1st, bring a friend to the 3:30 or 4:15 classes. Please let us know if your child intends to bring a friend. If this friend becomes a member of the dojo, we will give you $20 discount on your next term fees. Newer PostNew teen class free for a month of December!